Celia lives in South Derbyshire with her husband and deranged cats. Over the years she’s had a variety of occupations. She believes she’s found her perfect job in teaching, which she now does part time to accommodate her writing. 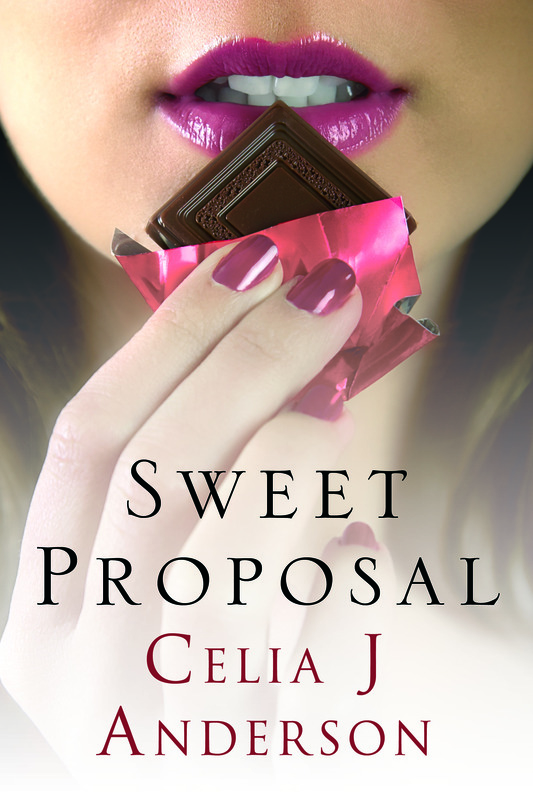 Her first novel, Sweet Proposal, is published by Piatkus. When did you first start writing and what made you decide to take it further? You graduated from the RNA’s New Writers’ Scheme this year with Sweet Proposal. How did you find your publisher? I read online about a competition with Piatkus Entice for a one-book contract – they wanted the full MS and by that time I had a better one ready. The book was called The Chocolate Project initially but the name was changed during the editing process. The prize was awarded at The Festival of Romance in Bedford, 2012. It was an amazing night, what I can remember of it! As someone who teaches, has a family and runs a children’s drama group, how do you fit writing into your busy day? It’s getting harder and harder, as I’ve just been appointed assistant headteacher, but still working Monday to Thursday. I hope to keep Fridays free although sometimes pressing school problems have to come first but I often write in the early mornings – I wake about 5am and that’s when the words flow best. Tell us about the Romaniacs. How did you get together? Most of us met at the very first Festival of Romance in November 2011. We started a private Facebook page so that we could get to know each other better and gradually the plans for a group blog were formed. We are sounding boards for each other, shoulders to cry on, extra family, and most of all writing gurus. I would be completely lost without them. What have you got planned next in the romance genre, and do you have any other writing goals? I have my next book, Little Boxes, out with publishers on submission right now, and the following one is partly written – waiting for the school holidays to make some decent headway though. I’ve just finished writing our Year Six play with the children and am also editing my first children’s book which I would love to get published. There’s no time to be bored these days! Thank you for finding time in your hectic schedule to talk to us, Celia. The best of luck with Sweet Proposal and all your future projects. Books, chocolate and a Jacuzzi: could there be a better combination? Gorgeous Geordie Leo arrives in Clayton-on-the-Bream with a mission to make his mark. When he reveals his ideas for a bespoke bookshop and chocolate-themed cafe, struggling writer Mab can’t resist his plea for help. However, Leo’s timing is disastrous. Engaged to flighty, super-thin Sophie and knowing that Mab is up to her neck in a mysterious scheme of her own, Leo fights hard to ignore the warm, sensual friendship that is growing between them. When their eclectic mix of family and friends weigh in to help, the dream seems almost possible, but can Leo ignore Mab’s shady past? As they battle with sabotage, jealousy, vindictive neighbours and unpredictable relationships, Mab and Leo find that even chocolate can’t always make miracles happen . 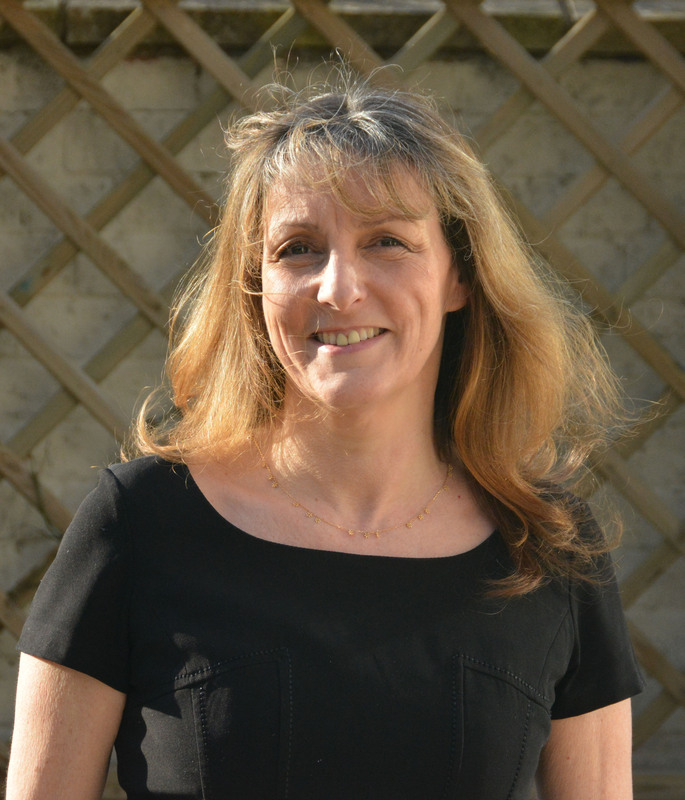 . .
Elaine Roberts is proud to welcome this years winner of the Joan Hessayon Award, Jo Thomas, to WMWP. Jo started her broadcasting career as a reporter and co-presenter with Rob Brydon on BBC Radio 5, reported for BBC Radio 4’s Woman’s Hour and went on to produce at BBC Radio 2 working on The Steve Wright Show. She now lives in the Vale of Glamorgan with her writer and producer husband, three children, three cats and a black lab, Murray. She writes lighthearted romances about food, family, friendships and love; and believes every story should have a happy ending. Why/when did you know you wanted to write? I remember getting the bug when I read my first Christina Jones followed very quickly by my first Katie Fforde. In fact, a friend at work had read it on her holiday and passed it over the desk, saying ‘here we go Jo, I think you’ll like this’. Like it? I loved it! And it was then I thought I wish I could write those kind of stories. I wish I could be part of that world. Nothing bad ever happens in those stories and I always knew there would happy ending. How long did it take you to complete your manuscript? Well, an oyster takes about three years to grow and that’s probably how long The Oyster Catcher took from first getting the idea to actually being published. At an RNA party of course! I was introduced to Hazel from Accent Press and some time later she offered to publish my book as an ebook. It was time to get my story out there. Can you tell us something about your ‘road’ to publication? I was published in November 2013 by Accent Press as an e-book. In January 2014 it started rising up the Amazon Kindle charts. By February it rose to number 2, inbetween ’12 Years a Slave’ and ‘The Book Thief’. Whilst it was there I was approach by one of the big publishers and a number of other publishers showed an interest in me. 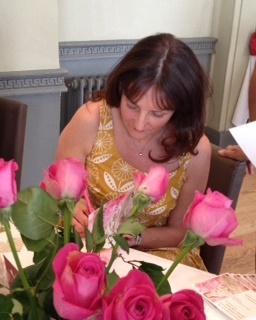 I ended up going to auction and I was really lucky to finally sign a 4 book deal with Headline. Now you have that first book ‘under your belt’ what’s next in your writing life? Busy! 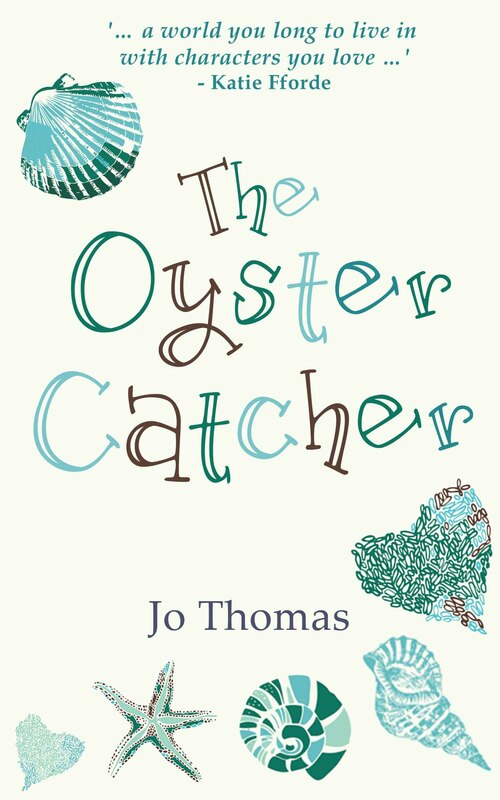 The first book, The Oyster Catcher is coming out in paperback in November so I’ve been doing edits on that. My second book, The Olive Branch, is due out in February 2015 and I’m just about to do the next draft on that and, in October I have a novella coming out as an ebook, called The Chestnut Tree, which I put the final full stop on this morning! Thank you, Jo, for taking time out of your busy schedule to talk to us today. According to a champion shell shucker, in order to open an oyster, you first have to understand what’s keeping it closed. When runaway bride Fiona Clutterbuck crashes the honeymoon camper van, she doesn’t know what to do or where to go. Embarrassed and humiliated, Fiona knows one thing for sure, she can’t go home. Being thrown a lifeline, a job on an oyster farm seems to be the answer to her prayers. But nothing could prepare her for the choppy ride ahead or her new boss the wild and unpredictable, Sean Thornton. Will Fiona ever be able to come out of her shell? As the oyster season approaches, will there be love amongst the oyster beds of Galway Bay? Or will the circling sharks finally close in? 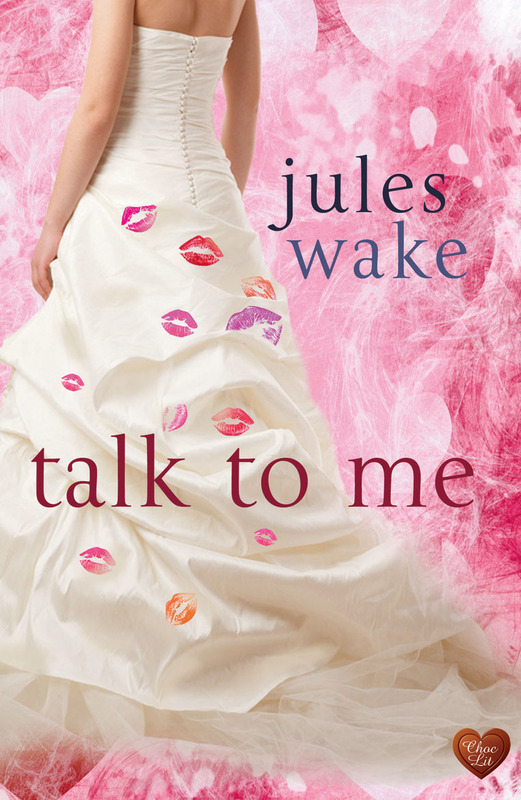 Jules Wake writes fun contemporary romance. She lives in Tring with two teenagers and a husband, along with a fine collection of dust bunnies. Writing is her displacement activity when she needs to resist the urge to do housework. She is an avid reader and would really rather read a book than anything else – except perhaps watch Strictly Come Dancing, come Saturday nights in September. Unfortunately she also has a day job as a School Business Manager, which she is quite passionate about, but luckily the holidays leave her plenty of time to read (ahem … write). Jules had put five different novels through the Romantic Novelists’ Association’s New Writers’ Scheme process before she found success. Her first published novel, Talk to Me, is described by The Bookseller as ‘a warm-hearted debut’ and is receiving plenty of enthusiastic 5-star reviews on Amazon. Jules, when did you first realise that you wanted to write? I always enjoyed writing as a child and studied English at university. I went to UEA, one of the first homes of creative writing degree courses, and I think the concept of writing was so important on the campus that the idea that I might one day try it became embedded in my sub-conscious. I then went into PR which involved a lot of copy writing, newsletters, press releases and features, so writing itself was second nature, although writing a book is very different. Before the days of the kindle, I used to get frustrated that I couldn’t find anything new to read, so I decided to write the sort of things I like reading. What is your New Writers’ Scheme story? I strapped on my walking boots when I joined the NWS! Talk to Me was the first manuscript I submitted, way back in 2008, and I was thrilled to get good feedback. In fact, that was in the days of the second read, so I received two really fabulous reports. I thought I was made. Little did I know! I started submitting to agents immediately, and the rejections flooded in. Having had such a positive response for the first book, I re-joined the NWS and duly sent off my second book. That too got a good report and I submitted to agents and got another ton of rejections, so I wrote a third. More rejections, so I wrote a fourth. The fourth one got great feedback from the NWS and this time, when I submitted it to agents, two actually asked for the full manuscript. That was so exciting. Unfortunately, in the end, both said it wasn’t for them. I then got on and wrote book five, but at around the same time I had decided to submit the first book, Talk to Me, to Choc Lit. I was invited to meet with the publisher in January 2013 – just after I’d signed up for the NWS for the sixth year. So, how did you find your publisher? As an RNA NWS member, I made the most of going to events and networking. I was a bit shy about it at first but Twitter really helped. I met lots of RNA people online before I met them in the flesh, but that made it much easier to go to events. As a result, I met Sue Moorcroft a couple of times and read her books, which I loved. She was published by Choc Lit, who were quite new then. I heard that they were accepting un-agented submissions but was disappointed to find that they only accepted work which included the male point of view. At that time I wrote in the first person and didn’t think I could write from the male POV. However, I decided to give it a try and rewrote the first three chapters specifically for Choc Lit, and they came back and asked to see the whole manuscript! I quickly had to rewrite the whole 87000 words, but I managed to encompass everything I had learned and probably submitted a better book than the original. Talk to Me was accepted and subsequently published by Choc Lit as an ebook in May 2014, and in paperback a month later. The first draft had taken me a year to write and I remember the sense of achievement when I typed The End, but actually that was only about a quarter of the work involved. It took me nearly six years from starting the first draft to holding the paperback in my hand. Although I now had a contract with Choc Lit, my NWS reader suggested I try to get an agent for book five, so I sent it out to three agents in August 2013. One came back and asked to read the full ms but then declined it, and the other two I didn’t hear from at all. I was about to give up on it when a fellow writing buddy from the NWS insisted I give agents one more crack, so I picked five more and sent the ms off to them on a Thursday. On the Monday I received a call from an agent at a big London literary agency asking if I’d received her email on Friday? Would you believe it, one of the most important emails of my writing career had gone into my spam folder! She loved the first three chapters and wanted to read the full ms on an exclusive basis. No sooner had I agreed to that, one of the three original agents came back and asked for the full too. That left me in a dilemma as I didn’t want to tell her it was already with someone else on an exclusive basis. Being a coward, I decided that as Agent B had taken so long to get back to me, it would be all right to conveniently overlook her email for a few days, while I waited for Agent A’s response. Fortuitously, it was the RNA summer party that week and both agents were there. I introduced myself to Agent A and we had a great chat. Then I spotted Agent B and felt I really ought to go over and talk to her and explain the situation. She was really cool with it and to my surprise was happy to wait. We got on famously and I knew then that I could work with her. Agent A came back and asked for lots of changes before she would make a decision. I agreed with the changes, but still sent off the ms to Agent B. I’ll never forget I got a call the following Friday lunchtime from Agent B. She was only halfway through the book but loving it, and offered me representation. We’d got on so well at the party, and I really felt she ‘got’ me, so I accepted. Now you have the first book ‘under your belt’, what’s next in your writing life? There are still no guarantees. I had to forego future contracts with my current publisher because they prefer to option all future romantic novels, in favour of taking on the agent. She may not be able to sell this novel, but it was a risk I was prepared to take. I’m now writing book number six. If you could give just one tip to aspiring romantic novelists, what would it be? When finishing the first draft of a book, too many writers make the mistake of thinking ‘there you go, that’s the work done’, and start submitting. My favourite analogy to reflect the route to publication is to ask: Would you enter the Olympics having run just one marathon? So, my best advice to anyone who is serious about getting published is to just keep writing, keep learning and keep improving your craft. Thank you, Jules, for talking to us on the blog today, and we wish you every success in the future. Olivia has been in love with Daniel forever but, despite her best efforts, they’ve never been able to get it together. Their relationship has always been a series of mixed messages and misunderstandings and the final straw comes when Daniel mysteriously starts dating her flatmate, Emily. Hurt and confused, Olivia resolves to forget her heartache with a spot of speed dating. After all, what could possibly go wrong? One crazy stalker later and Olivia’s life is becoming increasingly strange and scary. Can she rely on Daniel to step in when events take a terrifying turn or will their communication breakdown ultimately result in tragedy? 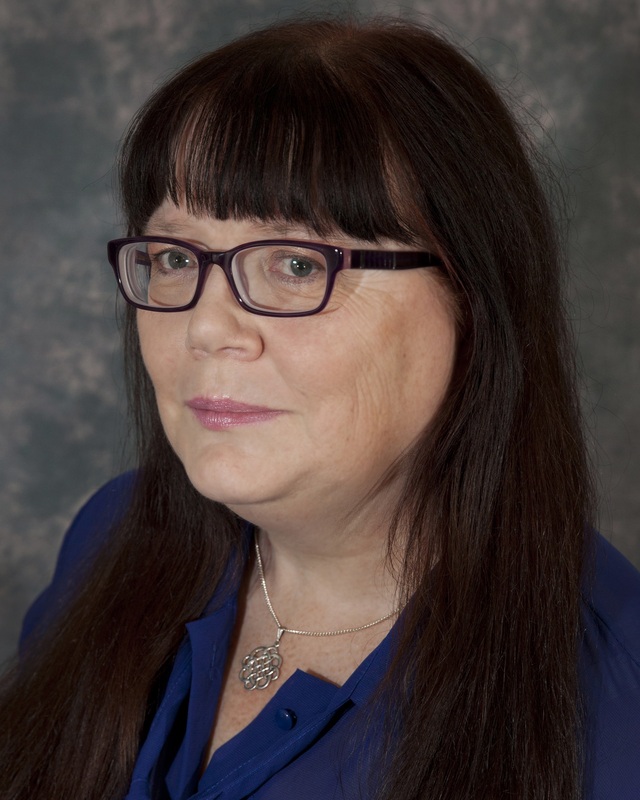 I’m delighted to be interviewing fellow WMWP blogger, Natalie Kleinman about her rise from the New Writers’ Scheme and what comes next. All my fellow bloggers are talented writers. I can see there being a flurry of novels hitting the bookshelves in the next year. Natalie lives with her husband, Louis, in Blackheath, southeast London. She discovered a love of writing when searching for something less time-consuming than an Open University degree course. It was one of the biggest mistakes she ever made – not the writing but her assessment of how much time it would take. We often hear how difficult it can be to get onto the Romantic Novelist Associations’ New Writers’ Scheme due to the number of applicants. Did you find it hard and how long were you a member? I was incredibly lucky on both counts. With finger poised late one night/early morning in January 2013, I punched the key – rather hard actually due to an excess of enthusiasm – and was accepted first time of applying. Then panic set it. Would I be able to get my book finished in time? I did and had a most encouraging review from my reader to whom I will be forever grateful. After working on her suggestions I submitted the edited manuscript and was accepted for publication in early November of the same year. How and when did you graduate? In November 2013, though my book, Voyage of Desire (Safkhet) wasn’t published until June 2014. I’m one of contenders for the Joan Hessayon Award in 2015 due to my book not being published until after the 2014 event. How did it feel to become a full member of the RNA and did it affect the way you work as a novelist? Very grown up and more than a little daunting. The New Writers’ Scheme is not only a wonderful opportunity for aspiring writers but also a cushion against the outside world. I’ve always been self-motivated but graduation brought with it an added responsibility. To those who had helped me on my way and to prove to myself I wasn’t a one hit wonder. I write full time and have a huge admiration for those who hold down other jobs and still manage to produce a massive word count. I’m unfortunate in that I need at least eight hours sleep so I need to be disciplined during the time I have available. My laptop lid opens with my breakfast and closes when I go to bed. I don’t give myself a designated number of hours to write and I have no particular routine. Impossible though not to feel guilty if I move away from the table and look back to see my empty chair and my open laptop. Do you write anything other than novels? Indeed I do. I began by writing short stories and the love of that form has never left me. I’ve sold over twenty short stories to the international womens’ magazine market. To have an idea, to work on it and produce, in a couple of hours, something that didn’t exist before – magic! You have that magical second book about to be published. How does it differ from your first novel? There was less external pressure because I didn’t have the deadline of the NWS submission date but the genre of After All These Years (DC Thomson) is the same. I am comfortable with contemporary romance which also forms the foundation for many of my short stories, though I have written sci-fi and mild horror, if there is such a thing as mild horror. Do you have a secret yearning to write something different to your first two books? A good thriller is my reading of choice but I know it’s something I could never write because I am a ‘panster’ and I suspect writing a thriller would need a lot more plotting than my natural tendency is capable of. I consider myself very lucky in that I can ‘escape’ to other genres in my short stories. What’s next for author, Natalie Kleinman? I have returned to my ‘bottom drawer’ novel, the first I wrote, but I like the theme and the setting. Not much has changed; not much that is except the point of view and the hero, not the original guy but another character who demanded the role. Sometimes they don’t give us a choice, do they? Certainly it’s a complete rewrite. I’m 16,000 words in at the time of writing. It’s still a contemporary romance though. Thank you, Natalie. I look forward to reading After All These Years when it’s published next week. 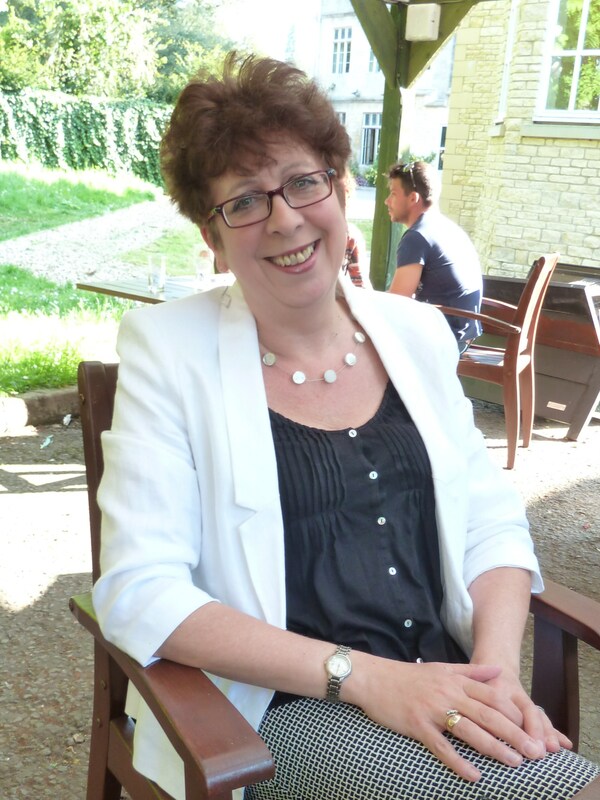 Elaine Everest is a freelance writer living in Swanley Kent with her husband Michael and dog, Henry. Apart from writing short stories for magazines and features for any publication that accepts her pitches she runs The Write Place creative writing school at the Mick Jagger Centre in Dartford, Kent. 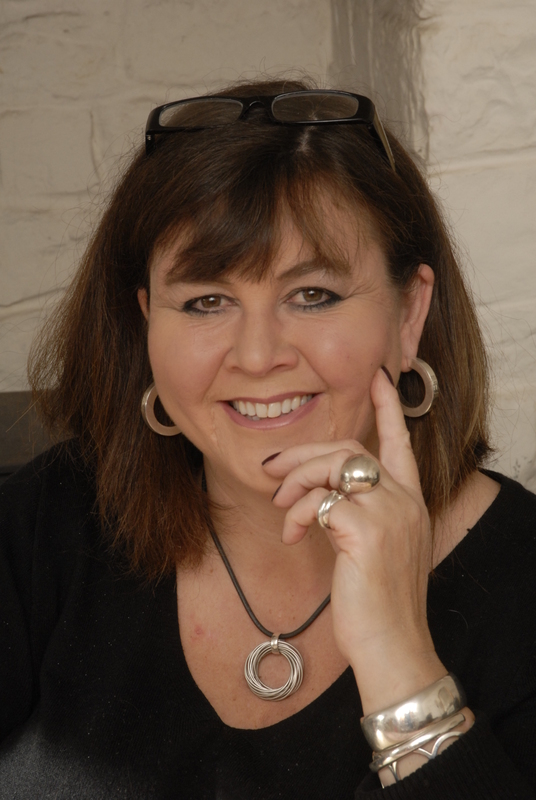 Elaine has written three non-fiction books, one novel and has her work in many prestigious charity anthologies. 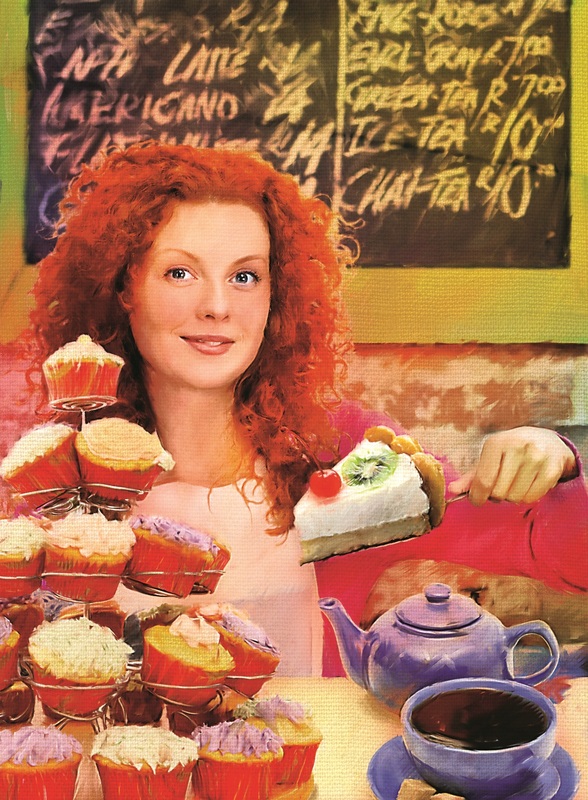 She was also BBC Radio short story writer of the year in 2003. You recently graduated from the Romantic Novelists’ Association (RNA) New Writers’ Scheme (NWS). Can you tell us about the process, from joining through to culmination as a candidate for the Joan Hessayan Award? When I contacted Melanie Hilton to notify her that I was ready to graduate the NWS she added me to the list of other graduates for that year who were also candidates for the Joan Hessayon Award. It was a magical time culminating in a fabulous awards ceremony. I’m proud to have stood side by side with so many good writers. It was a bumper year. There were seventeen of us! While Gracie’s War is your first published novel, I understand that you have written a series of ‘How To’ books relating to the dog world. How different was it when you moved to the fiction world of the Romantic Saga? Before I even thought about writing a book I worked as a freelance writer. My fiction was short stories for the women’s magazine market. I wrote features for many publications and because of my life spent in the dog showing world I found myself writing more and more canine features both for mainstream magazines as well as specialist publications. I met the owners of How To Books Ltd who accepted a proposal for Showing Your Dog, A Beginners’ Guide which became my first non-fiction book. Two more followed. A cookery book for dog owners and another on buying a puppy. I could have written more but by then I really wanted to follow my dream of becoming a novelist. The crossover was simple as I’d always written short fiction and simply studied that and held back on the non-fiction. Gracie’s War is not set in the present day. How much research did you have to do and did you enjoy it? Gracie’s War is set between 1939 and 1953 in the area of North Kent where I was born and brought up – and still live! It was a joy to look into the history of a time when my parents grew up. Some of the scenes within the book are based on family and local events. I was worried that I might get some of the details wrong but was pleased that locals, who knew that era, told me I’d got the setting just right. I kept researching until the day the book was written. I didn’t want to leave anything out. I’m a planner. I have always worked to deadlines and need to know what I’m writing next. Saying that, I only have a short outline for each chapter with a ‘shopping list’ of what is required to happen so in a way I’m a pantster as well. How did you find your publisher and are you contracted to write for them again? My publisher for Gracie’s War is Pulse and my prize was to be published by them. My contract covers all forms of publishing from ebook to large print so I hope that Gracie gets to be read by many people in many forms. It was a one book contract although I’m able to show the publisher other works that fit their remit. Being a writer can be a lonely occupation. What do you do to escape the house and meet other writers and how do you relax? At the moment I wish I could escape. I seem to be surgically joined to my laptop! I’m looking forward to July as I get to attend the RNA Conference in Telford and a week after set off for Fishguard for the first summer Writers’ Holiday by the sea in Wales. I also love to attend the London Chapter of the RNA where we have great speakers and network over lunch in a good old fashioned London pub. Besides that you’ll find me at dog shows with Henry, our Polish Lowland Sheepdog. He’s already qualified for Crufts 2015 and is tipped to do well – if only he can keep four paws on the ground and not be so happy in the show ring! If there was a soundtrack to accompany your book what songs or pieces of music would you choose and why? My head is firmly stuck in the war years as I’m working on another saga. So for me it is Vera Lynn, Glen Miller and a host of other bands and singers of that period playing in the background while I work. In my current work in progress I’ve also used lines from well-known songs of that time to enhance the passion and closeness of my main characters. However, I’m gearing up for my trip to Wales so I’m playing my collection of CD’s from the Cwmbach Male Voice Choir – I’m a bit of a groupie where they are concerned. There could well be a Welsh man appearing in my book at this rate! As well as your own writing you somehow find the time to run The Write Place Creative Writing School in Dartford. Following in your footsteps I understand some of your students have also achieved success. What advice do you give to new writers? I’m immensely proud of all my students. We have so much talent at the MJC. 2013 was great with three books being traditionally published. 2014 looks to be even better with so many writers teetering on the verge of publication. My one piece of advice would be to stop talking about becoming a writer and just start writing. Network with other writers – ones that are writing what you enjoy writing – and absorb as much of the writing world as possible. Finally can you tell us what is next in your writing life? I’m busy working on a full length novel set in NW Kent during the late 1930s. I now have a literary agent and with her guidance I’m preparing this book ready for her to submit to publishers. It’s all very exciting. Thank you, Elaine, for taking time out of your busy schedule to talk to us today.